You know those healthy recipes that only take 15 minutes or less to prepare? The ones you want to keep making over and over again because they rock? 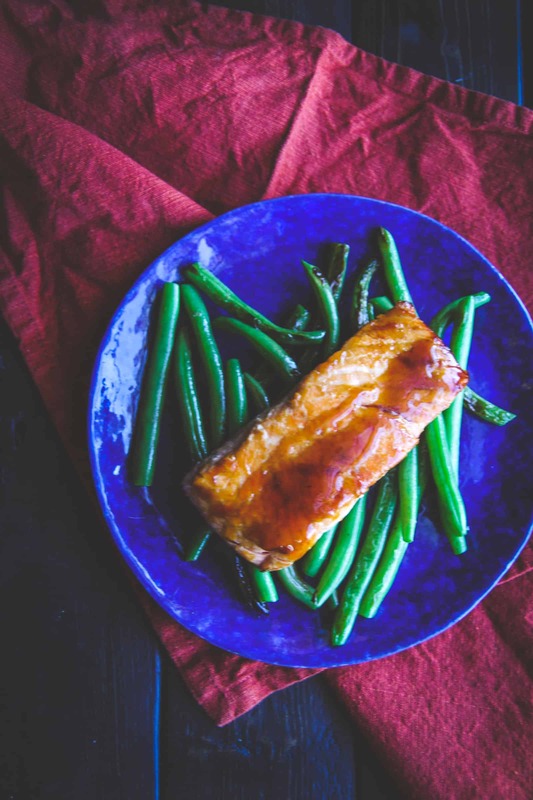 Well, this 5 ingredient ginger teriyaki salmon and green beans recipe is one of those. 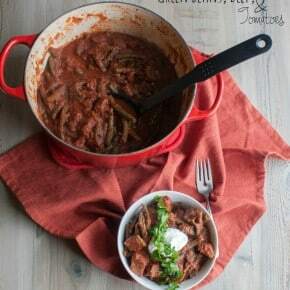 This recipe is going to quickly become a favorite! It’s crazy good and flavorful, and is so easy to make, perfect for this week’s Five Ingredient Friday recipe. 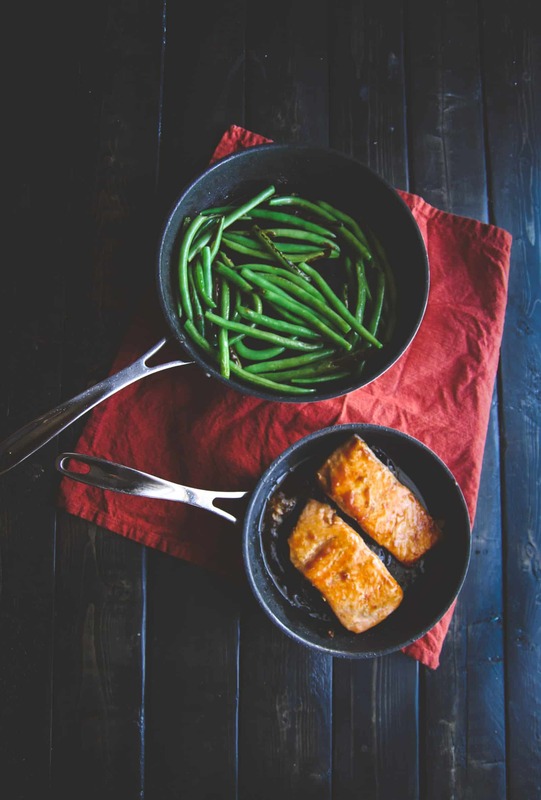 Salmon gets seared to perfection with ginger and teriyaki sauce, meanwhile green beans are cooked in olive oil. It’s a simple, healthy dinner that takes mere minutes (instead of hours) to make (seriously, the whole meal took 15 minutes, prep and all). Something else I absolutely love about this recipe is that it reheats really well the next day(you know I’m all about making healthy lunches – like this 5 ingredient pasta for meal prep – that recipe has been getting amazing feedback from readers who have made it and love it! 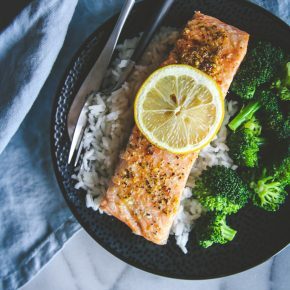 Usually when I have made salmon in the past, I’ve just baked it (like with this perfectly baked salmon recipe or this roasted kale and salmon detox salad) but searing it in a pan is amazing because of how quick it cooks, which means dinner is on the table that much quicker! Gluten Free Teriyaki Sauce – this is the one I used for this recipe, I found it at Target. This recipe turns out great with whichever sauce you use. I didn’t want the salmon to be swimming in sauce, so I used it pretty sparingly in this recipe. If you like things saucier, feel free to add more. 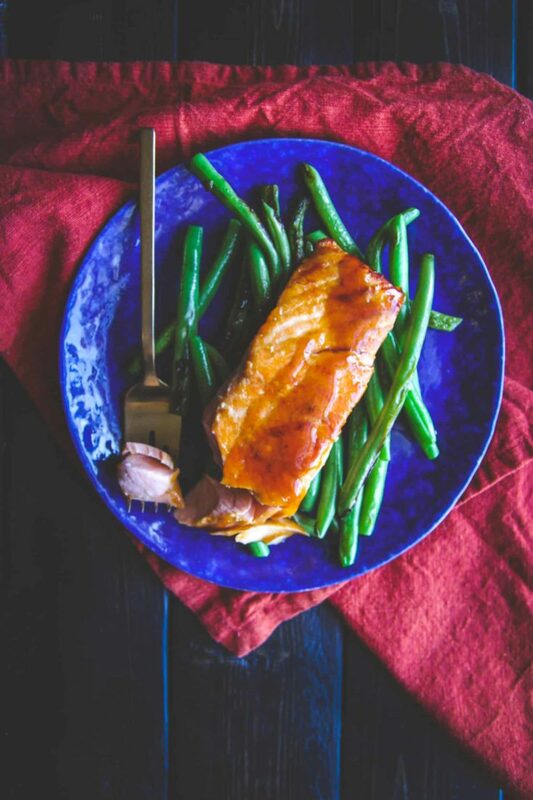 I hope you’ll enjoy this easy and healthy 5 ingredient ginger teriyaki salmon and green beans recipe. Start by cooking the green beans. Add 1 tablespoon olive oil, green beans, and a pinch of salt and pepper to a pan over high heat and cook, stirring frequently, until beans are bright green and beginning to char, 3-5 minutes. Reduce heat to medium-low and cook for another 5 minutes. Remove from heat and add in 1/2 teaspoon of fresh chopped ginger. Rinse salmon fillets, pat dry with a paper towel, and season both sides with a pinch of salt. Sear the salmon by cooking it in a nonstick pan with 1/2 tablespoon olive oil over high heat for 3-4 minutes, until a nice brown crust has formed, then flip it, add remaining ginger and half of the teriyaki sauce to the pan, turn heat down to medium and cook for another 5 minutes, until the salmon is cooked through. To serve divide the green beans between two plates, top each plate with a salmon filet and spoon remaining teriyaki sauce on top of the salmon and serve. I’m allll about simple salmon recipes like these. So healthy and quick to get on the table!! 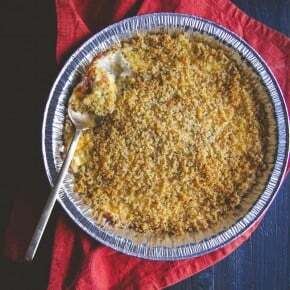 Easy recipes are definitely a must during the crazy busy week nights! Salmon is one of my favorites! What a wonderful and healthy recipe! You’re right; cooking salmon on the stove top is much much quicker:) The green beans you’re using also need much less cooking time. We often serve those in the summer as a side here in Greece and call them “abelofasoula”. 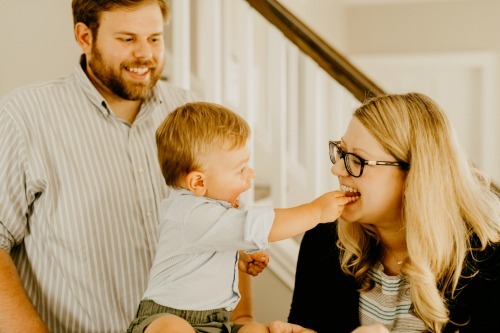 They’re much tender than the flatter ones, so we bet they’re perfect for a quick weekday/night meal. This is definitely one amazing and quick meal for the busy week. So interesting about ‘abelofasoula’ – I’m definitely going to go look those up.